Style, team pride and comfort! 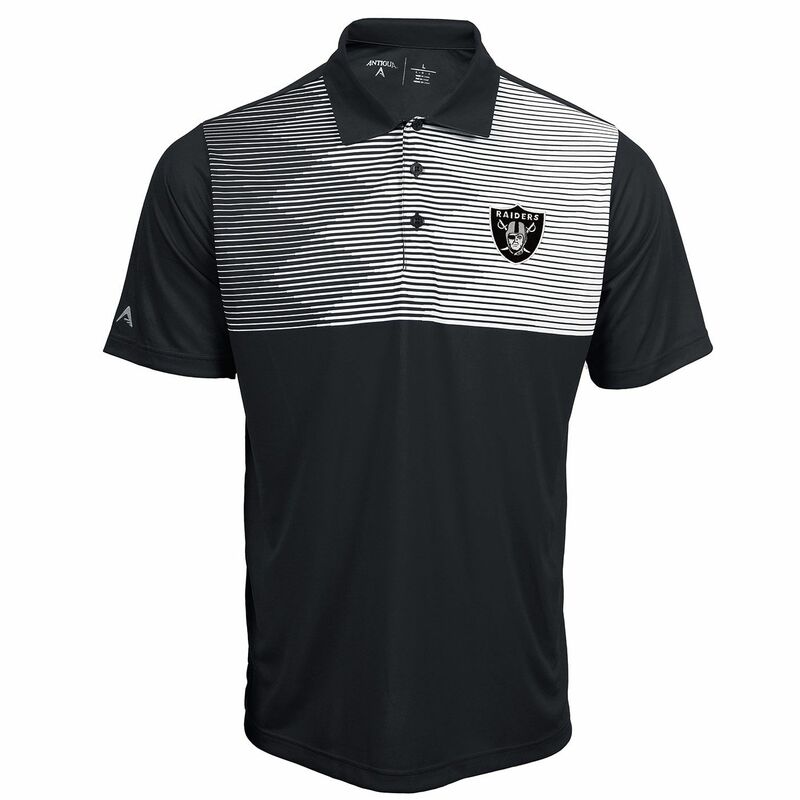 The Raiders Antigua Tactic Charcoal Polo features a diamond, stripe design across the chest with an embroidered Raiders� shield logo. 100% polyester.